Greek food has earned quite a following in Pennsylvania. Most Greek restaurants offer your favorite fried foods and sandwiches alongside traditional Greek fare you can’t find in just any restaurant. If you want authentic dishes and flavors just like you’d find in the Mediterranean, head to these 10 best Greek restaurants in Pennsylvania. This Greek kitchen has just about every traditional meal you can think of. Gyros, Souvlaki, spreads, and spanakopita are just a few of the dishes you'll find here. The prices are just as impressive as the taste, letting you fill up for well under ten bucks. Their passion for pitas is reflected in every meal they create. 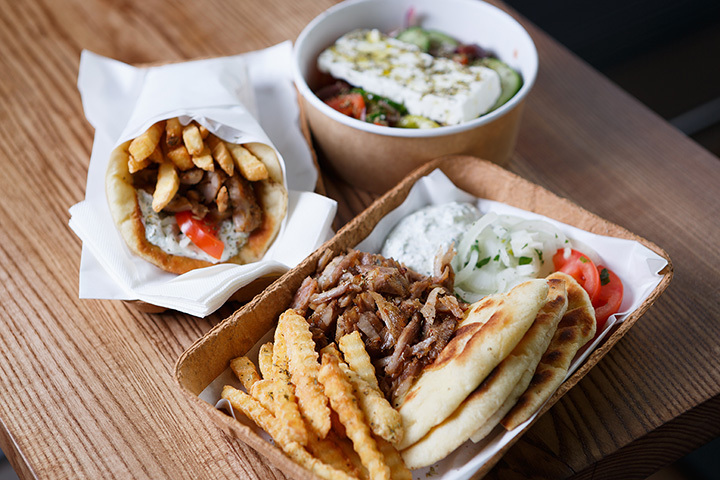 If you happen to spot their food truck out and about, you'll definitely want to stop to get the true Greek street food experience. They also have a storefront serving up their family’s tried-and-true authentic Greek recipes. This long-standing Philadelphia fixture has been serving up traditional Greek food for more than 20 years. Their recipes hail straight from Thessaloniki and have been passed down from generation to generation. And the best part is they deliver! Step through their door and you think you've likely entered a whole new world, with the ambiance reflecting pieces of Greek culture. Their Greek chefs import many of their items straight from Greece, adding to the authentic experience. And you won't want to miss their beautiful Sunday brunch spread, one of the only Greek brunches you'll find in the state. This family-owned Greek restaurant is as delicious as they come. They have tons of veggie and non-vegetarian meals to give every person something to savor, no matter their diet. The service is quick and the portions are plentiful, giving you all the more reason to pay them a visit. They may have "Aroma" in their name, but the enticing smells are just the beginning. You won't find a more authentic Greek food experience anywhere else in town. They just started delivering, too, so take advantage and get delicious Greek food sent right to your door. One of the most unique and attractive things about this place at their lunch buffet, where you can fill up on delicious Greek fare for one low price. This is a great way to sample a little bit of everything Greek, especially if you're new to the cuisine. If you're in a hurry, you can save some time by ordering online. That's Greek fine dining restaurant is truly a unique gem in Pennsylvania. Their homestyle ambiance will make you feel immediately welcome, resembling Greek architecture complete with an indoor courtyard, stucco walls, and limestone floors. It's all part of a well-crafted experience, setting the tone for an amazing authentic Greek meal. They fused classic Greek cuisine with American street food, and the result is nothing short of wow-worthy. Even better, they now offer delivery and online ordering to give you all around convenience. And if you're feeding a crowd, they offer several party-friendly platters that give you even more value. Truth be told, the menu here isn't quite as large as other Greek restaurants. But what they lack in variety, they definitely make up for in terms of taste and quality. You can still find the most popular Greek eats, including Lamb, spinach pie, and Tzatziki.